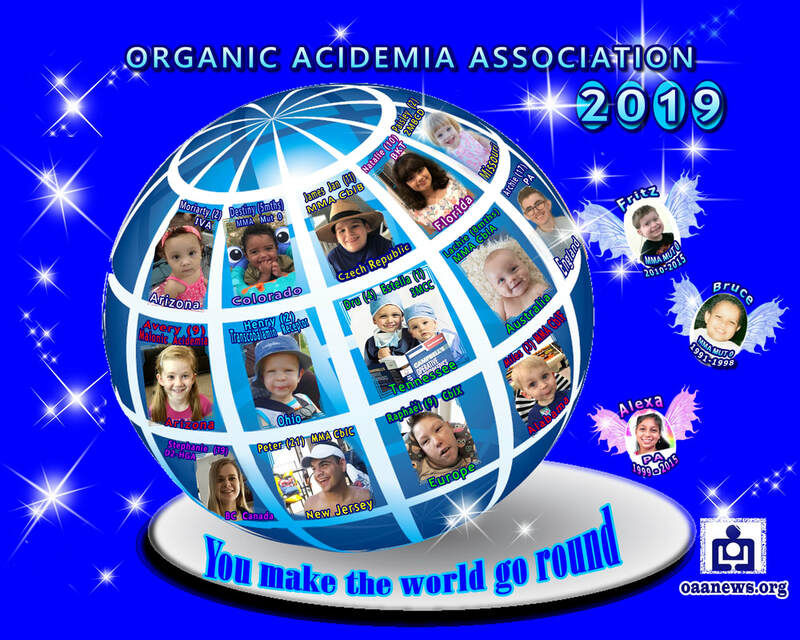 Organic Acidemias are a group of inheritable genetic metabolic disorders in which there is a defect in protein metabolism where an essential enzyme is absent or malfunctioning. The world's leading source for Organic Acidemia metabolic disorder support and information. We are a volunteer non-profit organization whose mission is to empower families and health care professionals with knowledge in organic acidemia metabolic disorders. 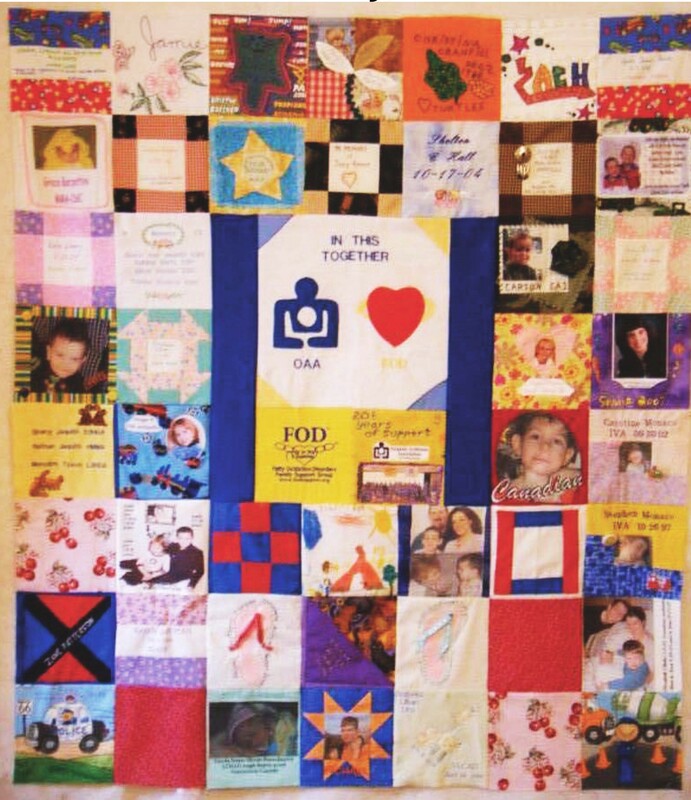 We support early intervention through expanded newborn screening, solicit contributions and distribute funding that supports research toward improved treatment and eventual cures in the areas of Organic Acid disorders. Thanks to Moderna Therapeutics for all they are doing in rare disease treatment. 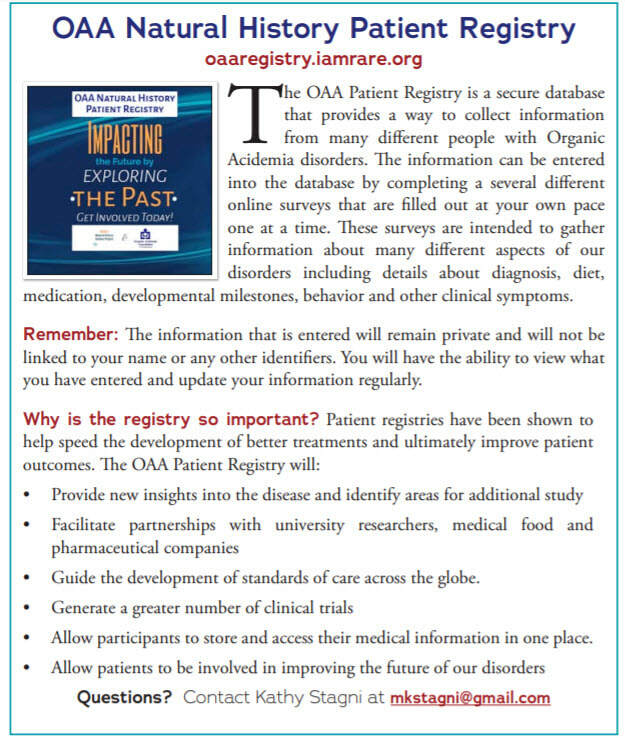 To commemorate Rare Disease Day, Moderna highlighted OAA in their blog post. Hi - We are happy to announce that the NIH has approved their study on Propionic Acidemia. Propionic acidemia (PA) is one of the most common disorders of organic acid metabolism. Newborn screening for propionic acidemia allows doctors start treatment at an early age. However, despite early and intense medical treatment, many patients experience health problems. Patients can have frequent hospitalizations for metabolic crises and develop chronic medical issues such as brain, eye, heart, abdomen, and kidney problems. To help better understand the health problems patients with propionic acidemia have, we are starting a new study: “Natural History, Physiology, Microbiome and Biochemistry Studies of Propionic Acidemia”. This study will evaluate patients with propionic acidemia to learn more about the genetic and biochemical causes and the medical complications associated with it. We also plan to study how bacteria living in our gut (microbiome) can affect the course of propionic acidemia. How can patients participate in this study and what will happen during the visit? Eligible patients will be admitted to the NIH Clinical Center for 3-5 days. Most travel expenses are covered for patients and their care providers. A typical visit will involve a medical interview, physical examination, genetic counseling and consultation with experts in different fields, such as the nervous system, nutrition, rehabilitation medicine and other areas of medicine. Patients will be asked to provide blood, urine and stool samples to help measure function of organs affected by propionic acidemia. We use imaging studies such as X-ray and ultrasound to look for changes in organs inside the body. We may offer additional tests to some patients. How can I find out more about this study? As you know OAA has supported Dr. Venditti and his study on MMA for years and I'm so pleased that he has been able to expand the study for Propionic Acidemia! Complete our questionnaire to be added to our mailing list for our newsletter. The Alexa Collection is a colorful array of shirts that embody the light love and happy feelings that we felt and continue to feel because of the life we were so privileged to have in our lives. Kids with special needs see all the colors and all the beauty in everyday and make you see it too.